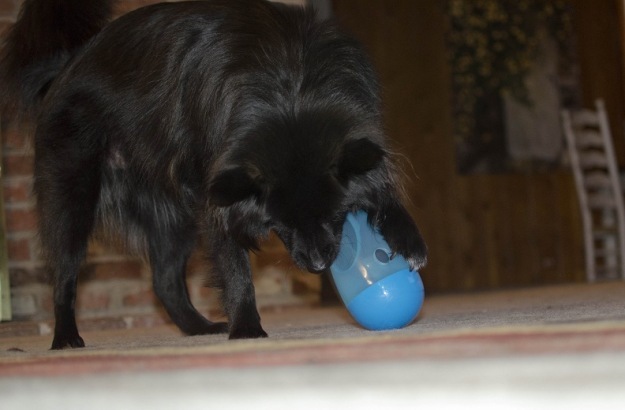 Tonight’s post is a very special one – Her Dog Blog’s first ever guest post! The folks over at Rover.com (a pretty rad dog-sitting website) submitted this post about the basics of traveling with your dog. In recent years, traveling with your dog has become a common practice for several people as more businesses in the hospitality industry accommodate pets. After all, a dog is a member of the family and leaving it behind only adds stress while you’re trying to relax. 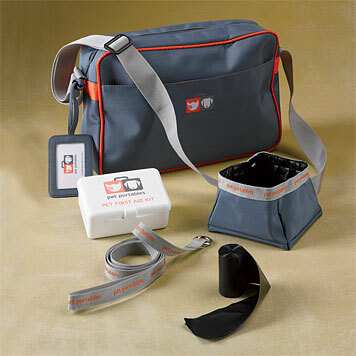 Traveling with your dog is much like preparing to go away with a child; there are many accessories you need to consider in order to keep your pooch as comfortable as possible. 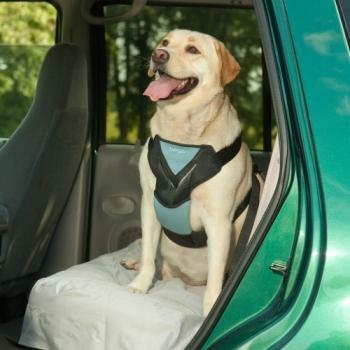 If you are traveling by car, it is much easier to have space for all required accessories for your dog. The first consideration for safety is to provide car seats or harnesses to restrain your dog in the back seat of the car. The type of restraint depends on your dog’s size; smaller to medium-sized dogs require car seats while larger dogs can use a harness attached to a safety belt in the same manner as installing a car seat. Remember the window shades used for children to keep excess sun away from your dog and other backseat travelers. During travel, it is important to have easy access to water, food and snacks, along with dishes for such items. Traveling with dogs requires frequent potty and drinking stops, plus an occasional snack or meal, depending on the time frame. Harnesses and leashes should be in easy reach for those moments when “nature calls.” As a responsible pet owner, you must remember the “poop” bags to pick up and discard your dog’s waste. Destination necessities for your canine begin with a travel crate, bed and blankets for comfort, once you get to your destination. Crates come in various sizes and are easy to open and close for travel purposes. When staying in a hotel, resort or private home, you can rest assured your dog is safe and out of trouble when crated in your absence. When reaching your destination, you will need to provide your dog with activities to keep him busy. Without doing so, your dog will find inappropriate ways to be entertained. Bring along all the favorite toys, along with some new ones to keep him curious longer. Choose to provide some rawhides and dental bones plus puzzle toys for hours of fun. 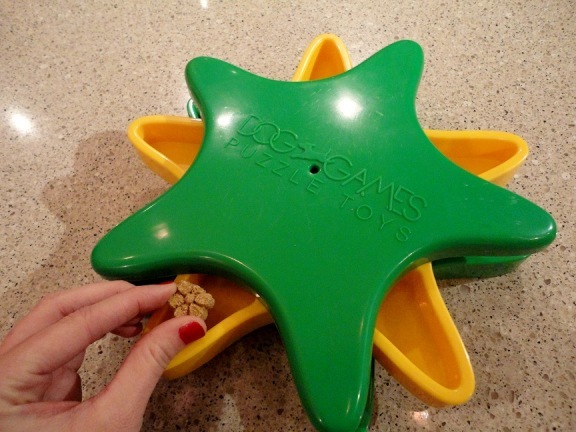 Puzzle toys are those you can fill with treats; the dog will spend hours trying to get it. Some minor items to consider on a dog-by-dog basis include items for grooming and first aid. If you have a dog with a longer coat, it may require regular combing and brushing, even while on vacation; preferably do so outside. If your dog has any medical conditions that require medications, be sure to place these items on your list. Depending on your destination, it may be wise to call your veterinarian prior to your departure, per chance there are other health concerns and vaccinations needed. It is always advisable to have your dog’s vaccine record with you, since many travel destinations require it when allowing a pet at the establishment of choice. Even for the healthiest of pets, put together a first aid kit for your dog to include such items as bandages, anti-biotic first aid creams, tweezers, cortisone spray or cream, cotton balls and swabs plus nail clippers. Your veterinarian’s number should always be in your contacts in case of an emergency concern. When traveling with pets, you want to bring along all the comforts of home, in portable form, so that your pet feels at ease. There will be times when the pet must stay in an unfamiliar place; providing the most familiar items in your absence will guarantee fewer anxieties for your dog. Laruen Colman serves as the digital marketer for the dog boarding and dog sitting community at Rover.com and is a true dog lover at heart. Lauren spends her days at the office with her dogs Squish and Brando by her side. For more dog tips, you can follow Rover.com on Twitter @roverdotcom or on their blog, Dog Boarding News. Teton and I want to know: What’s your must-have item for traveling with your dog? If you’re interested in submitting a guest post to Her Dog Blog, send us an e-mail at herdogblog@gmail.com. Posted on September 25, 2012 September 25, 2012 by Shannon	This entry was posted in Getaways. Bookmark the permalink. lots of individuals are hunting round for this information, you could aid them greatly.